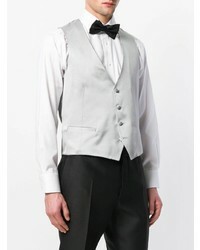 Look the best you possibly can in a Dell'oglio classic formal waistcoat from farfetch.com and navy jeans. If you don't want to go all out formal, grab a pair of brown leather casual boots. 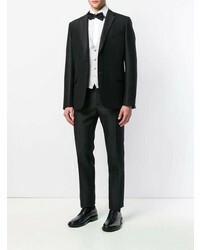 A Dell'oglio Classic Formal Waistcoat from farfetch.com and black chinos are a truly stylish look for any guy to try. 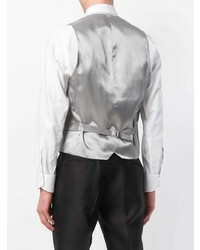 Reach for a Dell'oglio classic formal waistcoat from farfetch.com and grey dress pants like a true gent. 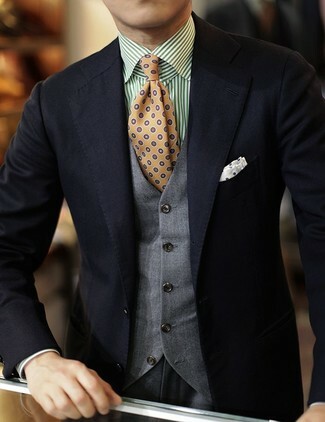 For a nothing less than incredibly stylish outfit, go for a Dell'oglio classic formal waistcoat and navy print chinos. And if you want to instantly up the style ante of your look with one piece, add grey leather oxford shoes to the equation. For a nothing less than incredibly stylish look, consider wearing a Dell'oglio classic formal waistcoat and black dress pants. 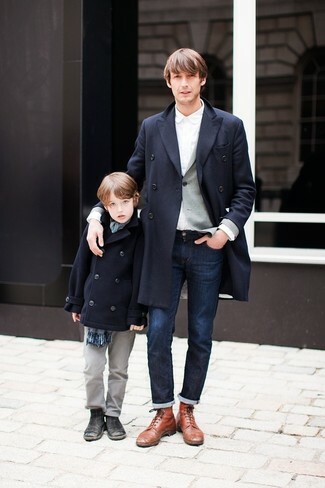 When it comes to shoes, this outfit pairs perfectly with brown leather oxford shoes. 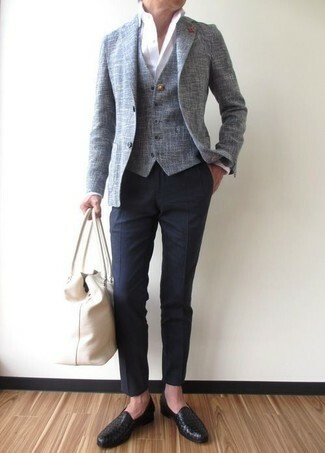 A Dell'oglio classic formal waistcoat from farfetch.com and navy chinos are great essentials to incorporate into your current wardrobe. When it comes to shoes, this look pairs wonderfully with dark brown leather tassel loafers. 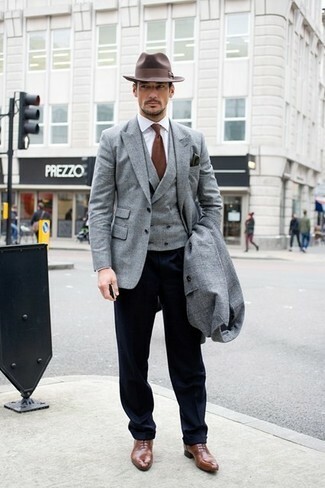 Consider teaming a grey waistcoat with navy dress pants like a true gent. For something more on the daring side to finish off this ensemble, make black leather loafers your footwear choice. 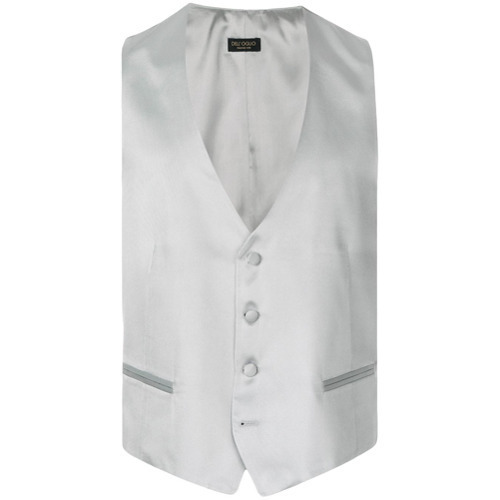 For a nothing less than incredibly stylish ensemble, choose a Dell'oglio classic formal waistcoat and black dress pants. 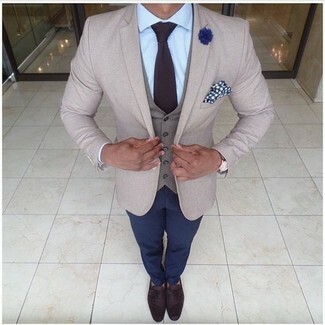 When it comes to footwear, this getup is finished off wonderfully with brown leather oxford shoes. 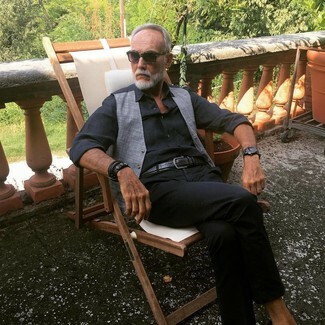 For a nothing less than incredibly stylish look, reach for a Dell'oglio classic formal waistcoat from farfetch.com and charcoal denim shorts. Break up your outfit with more casual shoes, such as this pair of beige athletic shoes.